Creamy, hearty grits topped with delectable Louisiana shrimp? Count me in! 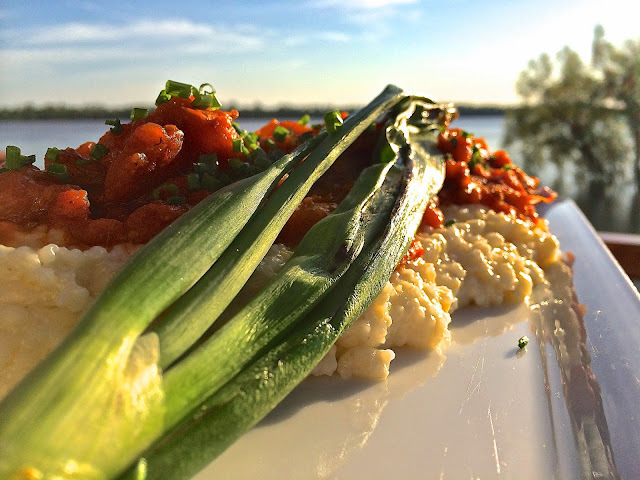 The spicy tomato base of the shrimp brightens up with the slight crunch from the fresh green onions. Snag some of the grits in your bite and magic happens on your taste buds! 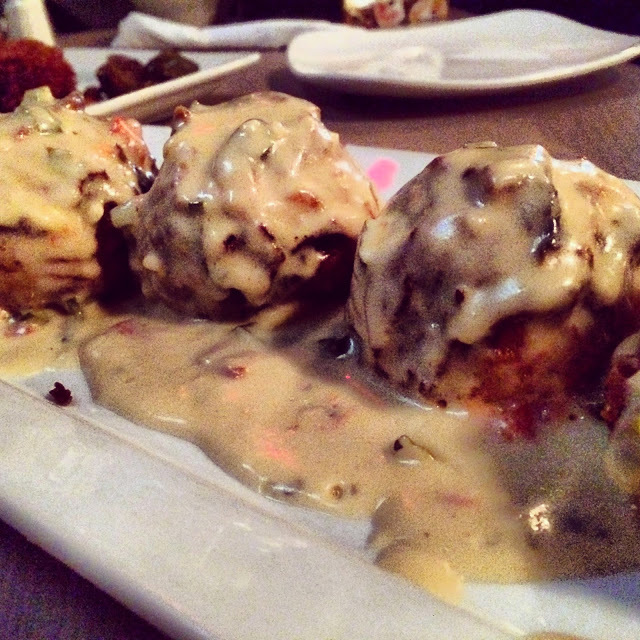 The flavors blend together so naturally that you&apos;ll wonder where this dish has been all your life. They may be known for their fried chicken over at Leroy&apos;s, but it&apos;s the cast-iron Southern comfort dishes I like best. Take for example the Garlic Shrimp and Asiago Grits. These are some of the creamiest grits I&apos;ve had and they don&apos;t hold back on the serving size. Leroy&apos;s shrimp and grits presents a mountain of silky grits topped with savory garlic shrimp and your choice of one of their splendid sides. You&apos;ll need a nap afterwards, but if you didn&apos;t they wouldn&apos;t be doing it right. I met up with a friend at City Club downtown and happened upon their shrimp and grits. It&apos;s not often I make it over to City Club, but Chef Eric Arceneaux puts out some of Baton Rouge&apos;s best cuisine (you seriously need to try his breads). What I like most about this version of shrimp and grits is the nice tang from the heirloom tomatoes. The shrimp boasted a freshness you hope to find in Louisiana as well. 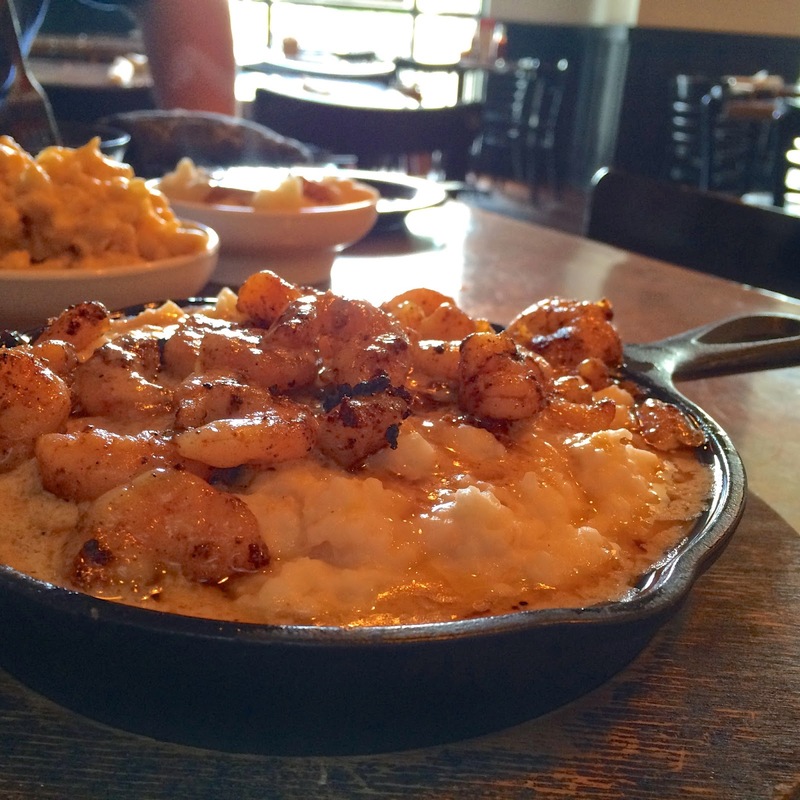 These creamy, garlicky shrimp and grits should definitely be on your list to try in the Capital City. 5. Le Creolé: 18135 E. Petroleum Dr. 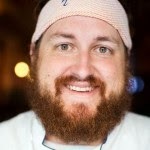 Chef Ryan André does Southern comfort food right every day at Le Creolé, and his shrimp and grits dish is no exception. Creamy Papa Tom&apos;s grits smothered in a tomato-shrimp roux is the perfect craving fix. 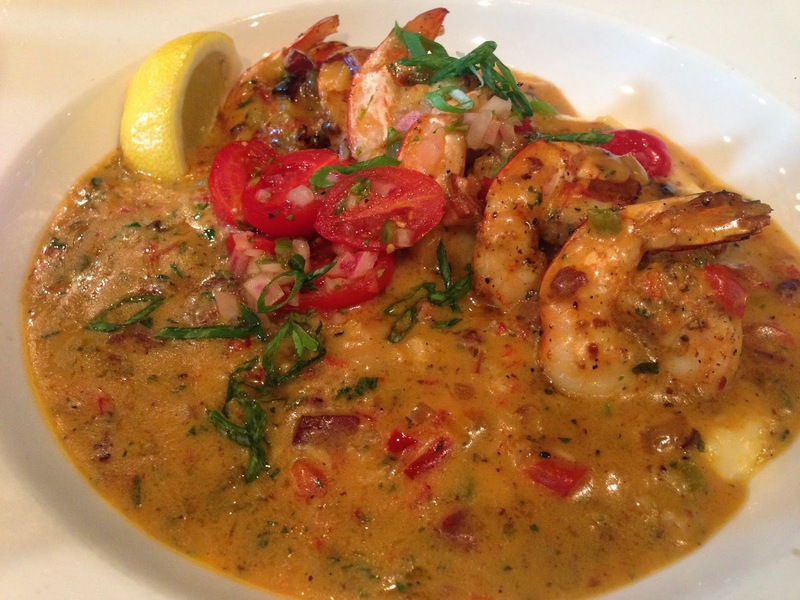 Ryan knows seafood and uses only the choices jumbo Louisiana shrimp in his masterful dish. The roasted bell peppers bring a bold flavor that brightens up the roux and gives the dish another textural element not typically found in this decadent favorite. 6. Portico: 4205 Perkins Rd. & 11777 Coursey Blvd. 7. Mason&apos;s Grill: 13556 Jefferson Hwy. 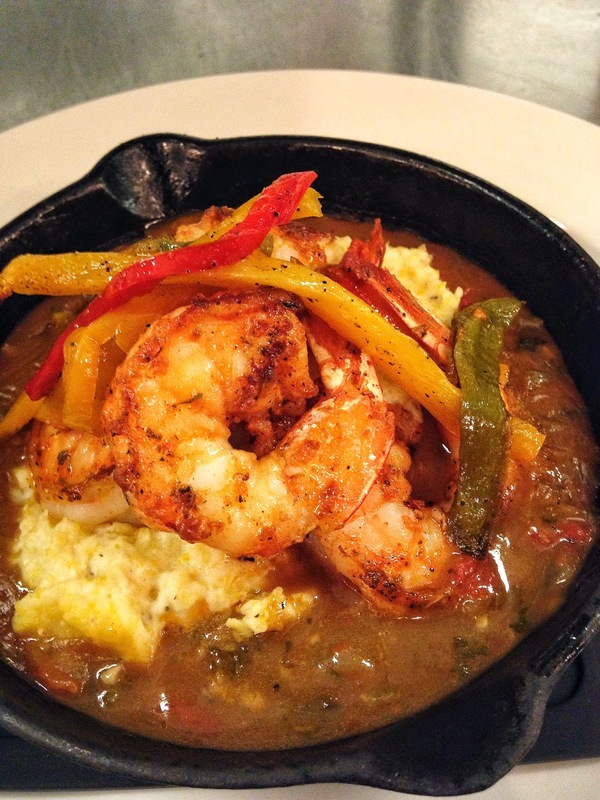 Who doesn&apos;t love a good shrimp and grits brunch? 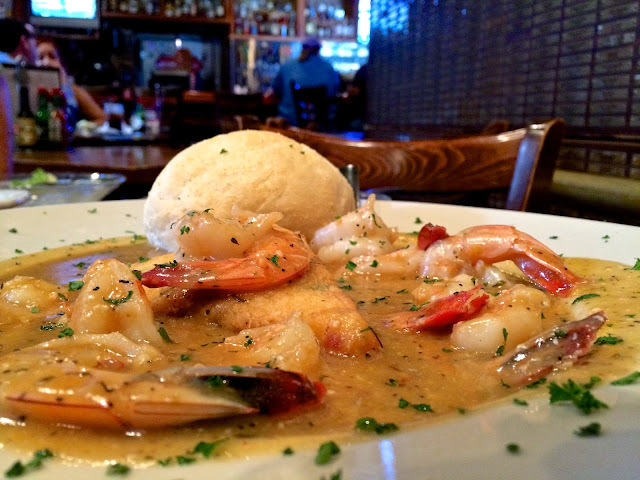 Here are a few more Baton Rouge shrimp and grits spots that proudly boast their own version on the brunch menu. Mansur&apos;s on the Boulevard: 5720 Corporate Blvd. City Café: 4710 O&apos;Neal Ln. Frank&apos;s Restaurant: 8353 Airline Hwy.